Where did the idea/inspiration for your recent work come from? The freedom of the initial gestural sweep of colour, and vigorous brushwork provides the initial inspiration. This first step is intuitive. I then use this framework to inform the progress of the piece, as shapes and movement reveal themselves on the canvas, transporting me into a colourful world of invented narrative. It is also at this stage that imagination steps into play, in much the same way cloud gazing prompts a story or daydreaming allows your mind to meander, the development of the artwork in front of me, sparks my imagination and a story unfolds. 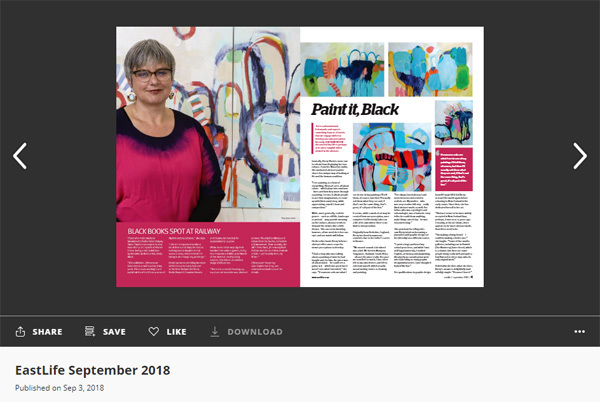 John Rawlins wrote a, insightful article, ‘Paint it Black’ on my painting practise for Eastlife’s September 2018 issue. 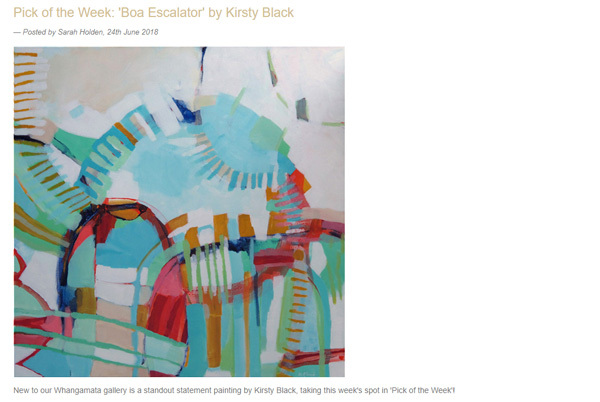 New to our Whangamata gallery is a standout statement painting by Kirsty Black, taking this week’s spot in ‘Pick of the Week’! 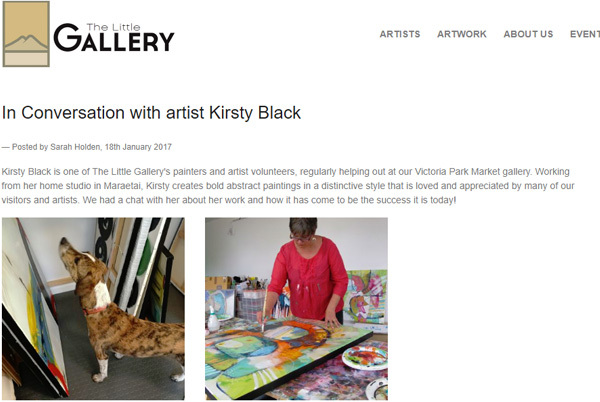 Kirsty Black is one of The Little Gallery’s painters and artist volunteers, regularly helping out at our Victoria Park Market gallery. 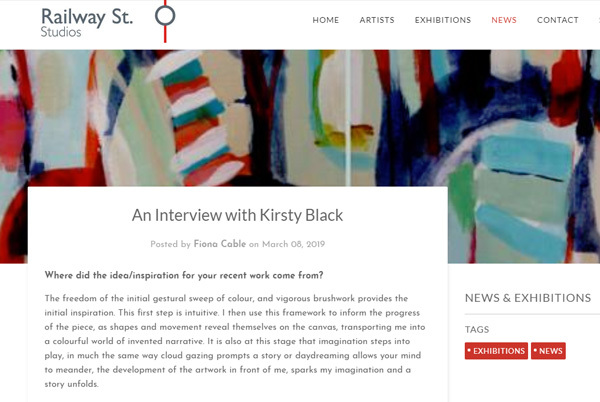 Working from her home studio in Maraetai, Kirsty creates bold abstract paintings in a distinctive style that is loved and appreciated by many of our visitors and artists. We had a chat with her about her work and how it has come to be the success it is today!